According to the opinion that says Noah was not really a perfect tzaddik but only relatively much better than the people of his generation, what defects did he have? What sins did he do? My pet theory is that he would go swimming on shabbos as evidenced by the fact that he came to build a raft. He didn't endeavor to get the rest of his generation to do Teshuva. That is the main contrast between him and Avraham Avinu, who worked tirelessly to spread monotheism to the world. This is called a Tzaddik in Pelz - a Righteous person in a fur coat - he keeps warm by wearing a fur coat instead of lighting a fire, thus keeping himself warm but letting everyone else freeze. See here for further details on this idea. Not the answer you're looking for? 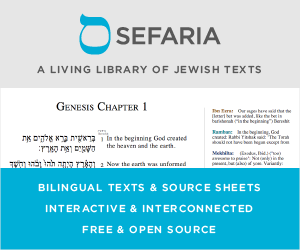 Browse other questions tagged sin parashat-noach noach-noah-the-man .